[Registration / Recognition (Initial and Subsequent Renewal)] What is Certified Nurse Anesthetist Registration? [Registration / Recognition (Initial and Subsequent Renewal)] Is current national certification required to renew the Certified Registered Nurse Anesthetist Recognition? [Registration / Recognition (Initial and Subsequent Renewal)] Are Certified Registered Nurse Anesthetists required to have a NPI number? [Registration / Recognition (Initial and Subsequent Renewal)] Do I need an Registered Nurse license to be recognized as a Certified Registered Nurse Anesthetist? [Registration / Recognition (Initial and Subsequent Renewal)] My Certified Registered Nurse Anesthetist Recognition was made inactive for failure to renew. How do I reinstate? [Supervision / Scope of Practice] How is the Certified Registered Nurse Anesthetists scope of practice defined in North Carolina? [Supervision / Scope of Practice] Is physician supervision a requirement for Certified Registered Nurse Anesthetist practice in North Carolina? [Supervision / Scope of Practice] Are Certified Registered Nurse Anesthetists required to comply with Dental Board rules for supervision of Certified Registered Nurse Aesthetes in Dental settings? [Prescriptive Authority] Do Certified Registered Nurse Anesthetists have prescriptive authority in North Carolina to prescribe controlled substances? [Prescriptive Authority] Are Certified Registered Nurse Anesthetists eligible for DEA registration? [Practice] Do North Carolina rules for Certified Registered Nurse Anesthetists apply to those employed by the federal government and working in a federal facility? [Practice] What information must be on the Certified Registered Nurse Anesthetist's name badge when the Certified Registered Nurse Anesthetist is involved in the direct provision of health care to patients? [Practice] Can Certified Registered Nurse Anesthetists engage in telehealth/telemedicine? [Practice] Can Certified Registered Nurse Anesthetists practice in roles that are outside of their area of certification? [Education] Do Certified Registered Nurse Anesthetist students need a Registered Nurse license to do clinical rotations in North Carolina? [Education] Is a Doctorate required for entry into practice as a Certified Registered Nurse Anesthetist? Yes. In accordance with 21 NCAC 36.0226(b), initial and ongoing recertification as a certified registered nurse anesthetist by The National Board of Certification and Recertification for Nurse Anesthetists (NBCRNA) is requirement for recognition and practice as a certified registered nurse anesthetist in North Carolina. No. A National Provider Identifier (NPI) number is not a requirement for recognition as a Certified Registered Nurse Anesthetist in North Carolina. A NPI is a unique 10-digit identification number issued to health care providers in the United States by the Centers for Medicare and Medicaid Services (CMS). The NPI is a payer/reimbursement requirement. 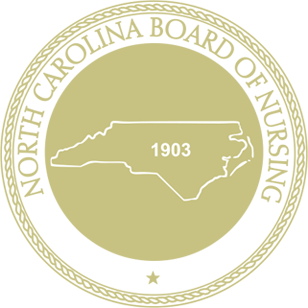 The North Carolina Board of Nursing does not have jurisdiction in payer issues. You are advised to contact payers directly to determine in a NPI number is required for reimbursement. Yes. Certified Registered Nurse Anesthetist Recognition requirements include a current permanent or temporary North Carolina Registered Nurse (RN) license or current Compact State Registered Nurse with multi-state privilege to practice (Compact license information must first be submitted on the "Compact State Application") and a current National Board of Certification and Recertification for Nurse Anesthetists (NBCRNA) Certification. Certified Registered Nurse Anesthetists are regulated under the authority of the North Carolina Board of Nursing (NCBON). CRNA practice includes ONLY the choice and implementation of a plan of care throughout the spectrum of anesthesia care as detailed in 21 NCAC 36 .0226 (c ) NURSE ANESTHESIA PRACTICE. Certified Registered Nurse Anesthetists may perform nurse anesthesia activities in COLLABORATION with a physician, dentist, podiatrist, or other lawfully qualified health care provider as noted in 21 NCAC 36 .0226 (b)(1) NURSE ANESTHESIA PRACTICE. When a CRNA chooses and implements a plan of care throughout the spectrum of anesthesia care as noted in 21 NCAC 36 .0226 (c ) NURSE ANESTHESIA PRACTICE, this is the practice of Advanced Practice Registered Nursing (APRN). CRNA practice does NOT include prescribing a medical treatment regimen or making a medical diagnosis as also noted in 21 NCAC 36 .0226 (b)(1) NURSE ANESTHESIA PRACTICE. For that reason, supervision is not required for CRNA practice. Subsection ( c ) of 21 NCAC 36.0226 speaks to Preanesthesia, Anesthesia, and Postanesthesia activities within the scope of practice for the CRNA. Subsection (d) of this same rule speaks to other clinical activities that are within scope for the CRNA in North Carolina and not limited to Preanesthesia, Anesthesia or Postanesthesia periods. Among these other clinical activities is “initiating and managing pain relief therapy utilizing pharmaceutical agents, regional anesthetic techniques, and other accepted pain relief modalities according to established policies and protocols within the practice setting” [21 NCAC 36.0226 (d)(4)]. Certified Registered Nurse Anesthetists who work in collaboration with an anesthesiologist or pain management physician to provide anesthesia and/or pain management services in North Carolina are within their legal scope of practice and in concert with North Carolina law and rules governing their practice. No. Certified Registered Nurse Anesthetists may perform nurse anesthesia activities in COLLABORATION with a physician, dentist, podiatrist, or other lawfully qualified health care provider as noted in 21 NCAC 36 .0226 (b)(1) NURSE ANESTHESIA PRACTICE. Certified Registered Nurse Anesthetist practice does NOT include prescribing a medical treatment regimen or making a medical diagnosis as also noted in 21 NCAC 36 .0226 (b)(1) NURSE ANESTHESIA PRACTICE. For that reason, supervision is not required for Certified Registered Nurse Anesthetist practice. An institution may choose a more stringent/restrictive requirement than is required by North Carolina rules and regulation, however. Furthermore, certain payers may require supervision based on their operational definitions as a requirement for reimbursement. Yes. Certified Registered Nurse Anesthetists who choose to provide anesthesia services in dental settings are required to adhere to Dental Board Regulations. North Carolina Dental Board rules require dentists to certify a dental practice for the administration of anesthesia as noted in § 90-30.1. Standards for general anesthesia and enteral and parenteral sedation; fees authorized. This certification requires the dentist to supervise the administration of anesthesia administered in the dental setting. Yes. While Certified Registered Nurse Anesthetist practice does NOT include prescribing a medical treatment regimen or making a medical diagnosis as also noted in 21 NCAC 36 .0226 (b)(1) NURSE ANESTHESIA PRACTICE, the Certified Registered Nurse Anesthetist (CRNA) is eligible for Drug Enforcement Administration (DEA) registration for the purposes procurement of anesthesia medications for CRNA practice. The CRNA is authorized to apply for and utilize a DEA registration under the DEA’s category of Mid-level practitioner in concert with federal law; DEA regulation §1300.01 Definitions relating to controlled substances. Federally employed Advanced Practice Registered Nurses (CNM, CNP, CNS, CRNA) are governed by federal rules and regulations in regard to how they practice while working within federal facilities. However, a federally employed CNM or CNP who holds a North Carolina approval to practice and wants to maintain the approval to practice must comply with North Carolina rules that pertain to maintaining an active approval to practice (i.e. annual renewal, continuing education and payment of fees). Also, any CNM or CNP actively approved to practice is expected to practice competently, act professionally and be of requisite good character no matter where, or for whom, he or she works. Consistent with agency policy, the Certified Registered Nurse Anesthetist (CRNA) may choose to include academic or certification designations on the name badge, but these must be in addition to the CRNA’s legally approved practice title(s). For example, one might use Jane Smith, RN, CRNA, MSN or Jane Smith, RN, CRNA, DNP depending upon one’s level of academic preparation. Yes. A Certified Registered Nurse Anesthetist (CRNA) may practice within his/her designated scope of practice set forth in North Carolina Laws and Rules using telehealth/telemedicine methods of healthcare delivery. Telehealth (interchangeably termed telemedicine) is the practice of healthcare within a professionally designated scope of practice using electronic communication, information technology, or other means between a licensee in one location and a client in another location with or without an intervening healthcare provider. The North Carolina Medical Board has a position statement on Telemedicine that can be used for guidance on training of staff utilizing telehealth, evaluations and examinations, licensee-client relationship, prescribing, health records, and licensure. Any CRNA using telehealth to regularly provide services to clients located in North Carolina need not reside in North Carolina but must be recognized as a CRNA with the North Carolina Board of Nursing and hold either a valid, unencumbered multi-state Registered Nurse license, or a valid, unencumbered North Carolina single-state Registered Nurse license. See the position statement on Telehealth/Telenursing. No. The Scope of Practice for the Certified Registered Nurse Anesthetist (CRNA) is defined by formal academic, graduate educational preparation, national certification and maintained competence. CRNA practice includes ONLY the choice and implementation of a plan of care throughout the spectrum of anesthesia care as detailed in 21 NCAC 36 .0226 (c ) NURSE ANESTHESIA PRACTICE. Certified Registered Nurse Anesthetists may perform nurse anesthesia activities in COLLABORATION with a physician, dentist, podiatrist, or other lawfully qualified health care provider as noted in 21 NCAC 36 .0226 (b)(1) NURSE ANESTHESIA PRACTICE. When a CRNA chooses and implements a plan of care throughout the spectrum of anesthesia care as noted in 21 NCAC 36 .0226 (c ) NURSE ANESTHESIA PRACTICE, this is the practice of advanced practice registered nursing (APRN). CRNA practice does NOT include prescribing a medical treatment regimen or making a medical diagnosis as also noted in 21 NCAC 36 .0226 (b)(1) NURSE ANESTHESIA PRACTICE. A CRNA may expand their areas of competence within their population focus through additional education and competence validation if this is permitted by their employer policy and procedures and is not in violation of any other laws or rules. To expand the scope of practice beyond the population focus for which the CRNA has formal academic, graduate educational preparation, national certification and maintained competence must be approved by the North Carolina Board of Nursing. Yes. A Registered Nurse license is a requirement for APRN practice. Academic programs are responsible for ensuring that post-licensure students participating in clinical rotations in North Carolina must have a North Carolina license or a multi-state license as defined by the Nurse Licensure Compact. APRN student clinical rotations are conducted under the supervision of an appropriately credentialed preceptor as required by individual state regulation. However, the student must have the foundational Registered Nurse license required by the state where the clinical experience occurs. If the student’s license is not a multi-state license as noted in Nurse Licensure Compact, s/he will need Temporary License. On October 25, 2004, the member schools affiliated with the American Association of Colleges of Nursing (AACN) voted to endorse the Position Statement on the Practice Doctorate in Nursing. This decision called for moving the current level of preparation necessary for advanced nursing practice from the master’s degree to the doctorate-level by the year 2015. This endorsement was preceded by almost three years of research and consensus-building by an AACN task force charged with examining the need for the practice doctorate with a variety of stakeholder groups. While market forces may preferentially choose a CRNA with doctoral preparation, the North Carolina Board of Nursing regulations currently require a master's or higher degree for qualification for entry into practice as a Nurse Practitioner.